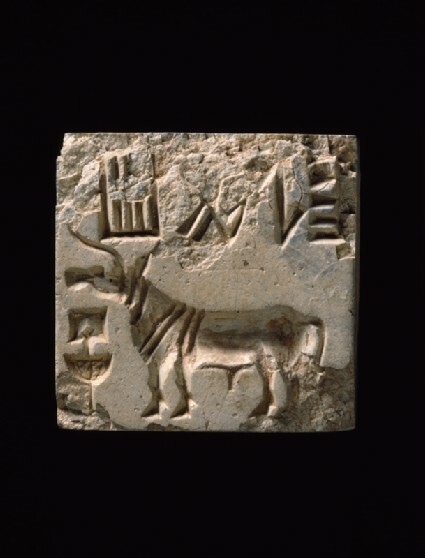 Indus seals were commonly used to mark bundles of trade goods. This well-known type shows a one-horned bovine animal before a ritual offering stand, with characters in the undeciphered Indus script. Presented by the Reverend C. King, 1956.